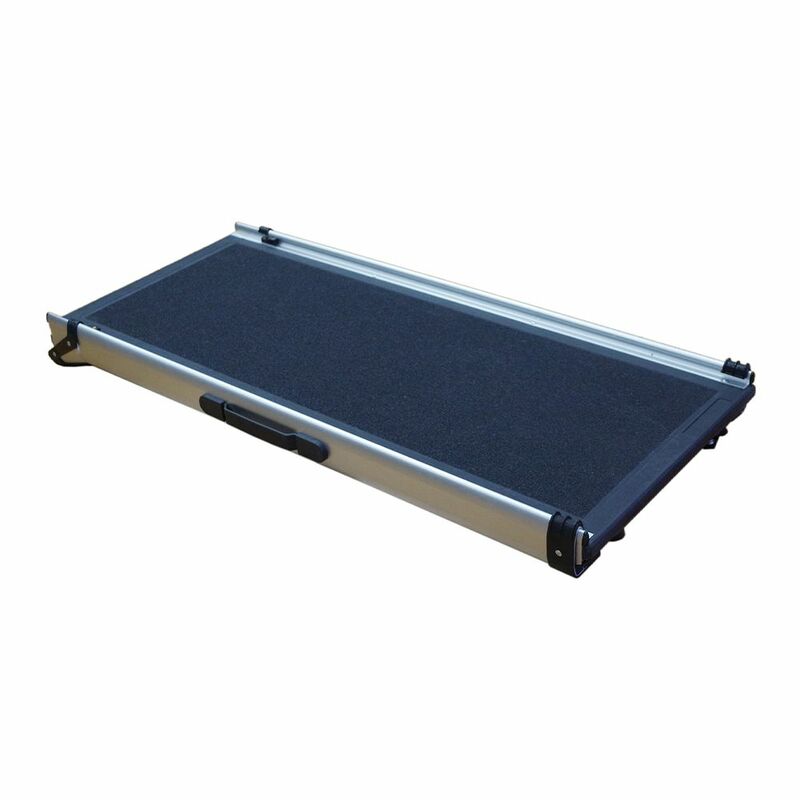 ZeeZ DELUXE TELESCOPING PET RAMP - 070_PET AIDS, ZeeZ Ramp - Product Detail - Prestige Pet Products Pty. Ltd. 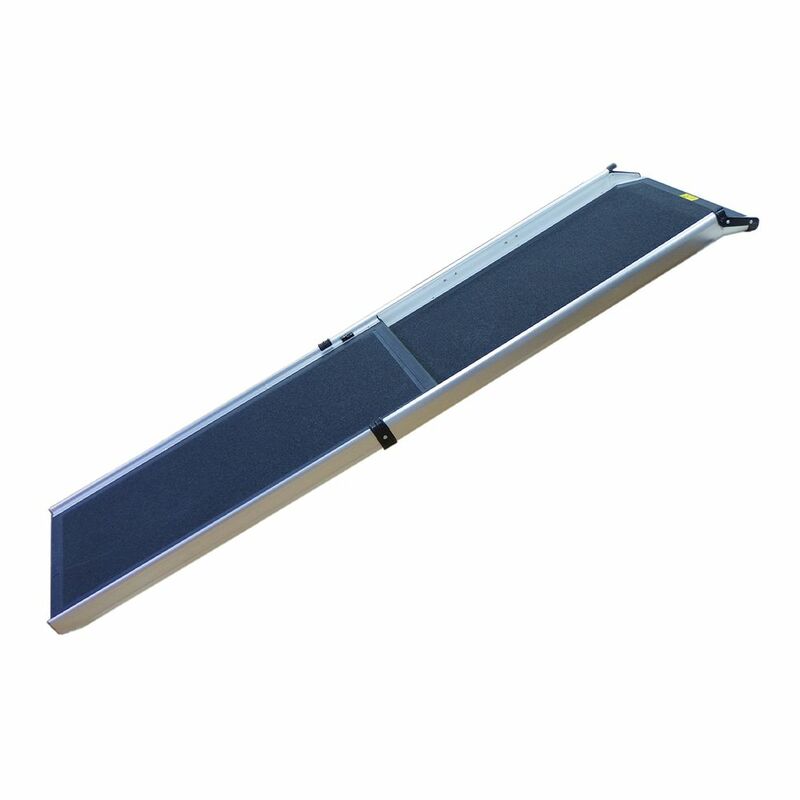 The ZeeZ Telescoping Ramp features an aluminium body with a plastic panel design The ramp itself is lightweight and has an attached handle making carrying a breeze! 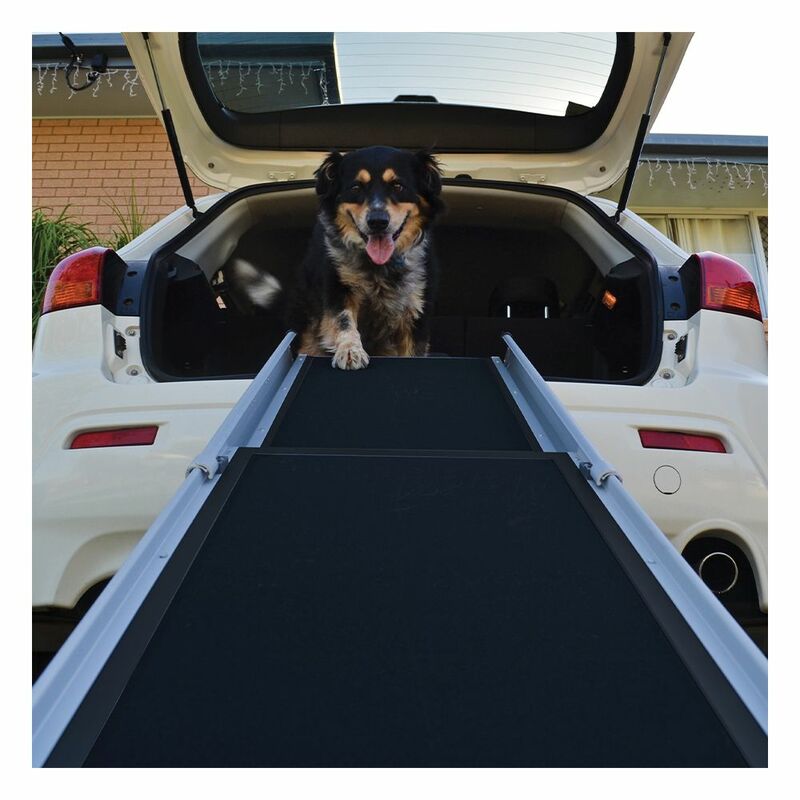 Perfect for any size dog with a load capacity of up to 90kg and a tread width of 35.5cm. This ramp is 90cm closed & 180cm extended. Ramp weighs 6.7kg.